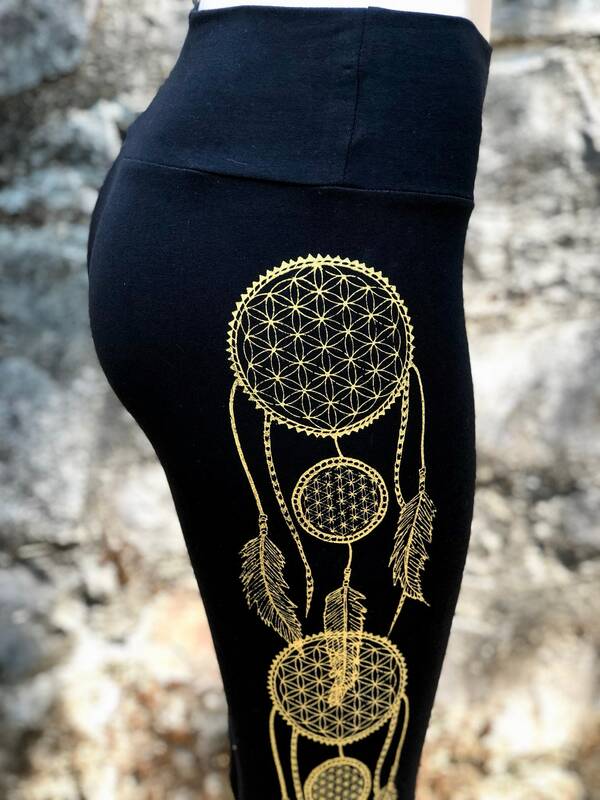 Δ Versatile leggings... great for yoga, lounging, or a night out! Δ Available in XS, SMALL, MEDIUM, LARGE, and XL. 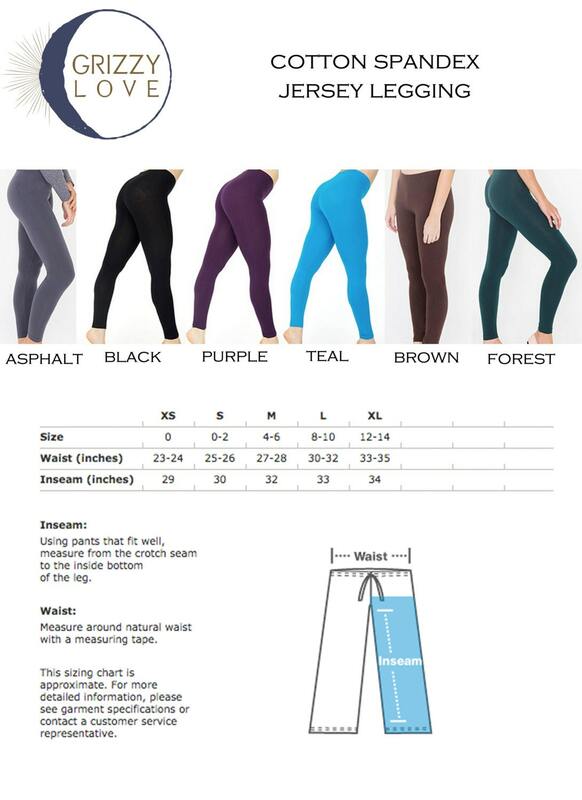 Δ Custom color regular cotton spandex legging & print color available upon request: I can also print this design on a different color legging (see last photo for additional color options) and your choice of print color. If you choose this option in the drop down menu, please be sure to include a note in the 'notes' section of your order with specific color & print instructions. Please be mindful that these are regular cotton spandex leggings, NOT organic cotton leggings.